Google will be introducing a significant modification to their mobile search result rankings on or around April 21st 2015. This change is a response to the significant increase in mobile device usage in recent years and aims to rank sites that work on mobile devices higher in results than those that are not ‘mobile-friendly’. 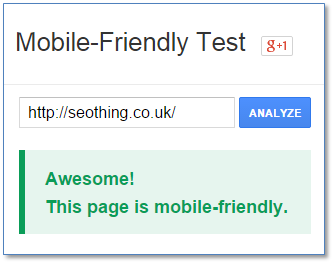 If your site is currently regarded by Google as ‘mobile-friendly’ then you don’t need to do anything. You are likely to see increased mobile traffic after April. If your site is not mobile-friendly, then now is the time to plan to improve mobile optimisation as quickly as possible. If your search results are affected on April 21st, you will see rapid improvement once a page has been made mobile-friendly. Find out how to check if your site is mobile-friendly below. 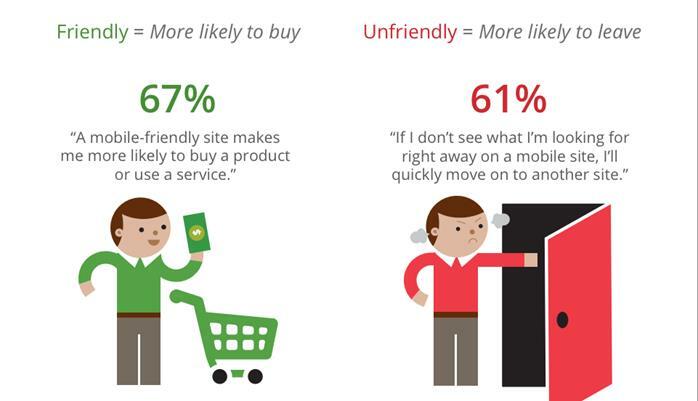 Google already assesses the ’mobile friendliness’ of each page in its search results. What’s changed is that Google will be making larger adjustments to the ordering of search results than has been done previously. So, mobile-friendly pages will rank higher in comparison to those that have issues on mobile devices. Sites with a poor mobile user experience should expect lost search traffic following this change. The changes are unlikely to affect brand-name searches, even if sites are not mobile-friendly. However, transactional queries (e.g. searches for products and services) and informational searches are highly likely to be affected. If your site is regarded as ‘mobile-friendly’ by Google, you are likely to see increased clickthroughs from mobile visitors after April 21st. 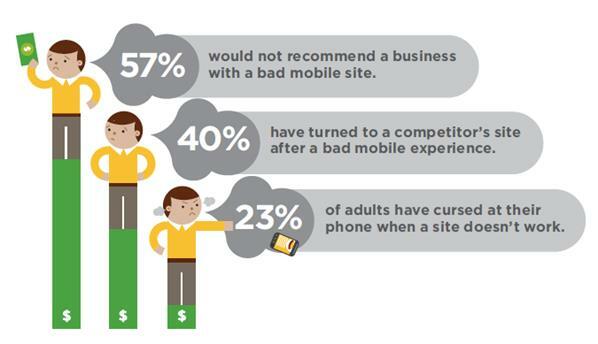 This is as a result of poorly mobile optimised sites appearing lower in rankings. If your own site is not optimised for mobile, you are likely to see rankings and clicks from Google mobile search fall after April 21st, until your site is made mobile-friendly. Google assesses mobile-friendliness as it crawls the web to discover pages, so you should allow time for this process to occur if you have recently optimised your site for mobile devices. 90% of Google’s revenue is from advertising, with the bulk of those revenues from search-based advertising. This revenue depends on Google offering a good user experience in search. Users are likely to ‘blame’ Google if they click on a result they consider to be irrelevant or offering a poor user experience. Thus, improved user experience protects Google’s bottom line. Google have conducted extensive research into the mobile market, including finding that users have a strongly negative perception of sites that are poorly optimised for mobile devices. 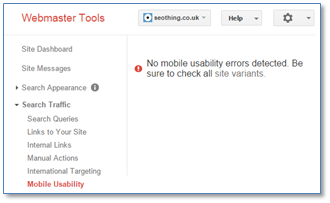 Google’s tool provides detailed feedback on mobile usability issues for any page. This assessment is currently the best way to obtain Google’s current friendliness evaluation as it will affect search results. Note that if you have a separate mobile site (e.g. m.example.com) you should test your desktop URL. If your mobile setup is correct it will be reported as mobile-friendly. If you have verified your site with Google’s Webmaster Tools system, you can obtain site-wide evaluation of all pages currently in search results. Many sites will have some pages listed as mobile ‘unfriendly’. The key consideration is the relative importance of such pages – primarily whether they currently rank in mobile search results. The search syntax to use is site:example.com (without any spaces).